The Leading Drone Software Platform with Unlimited Flying, Mapping, and Sharing. 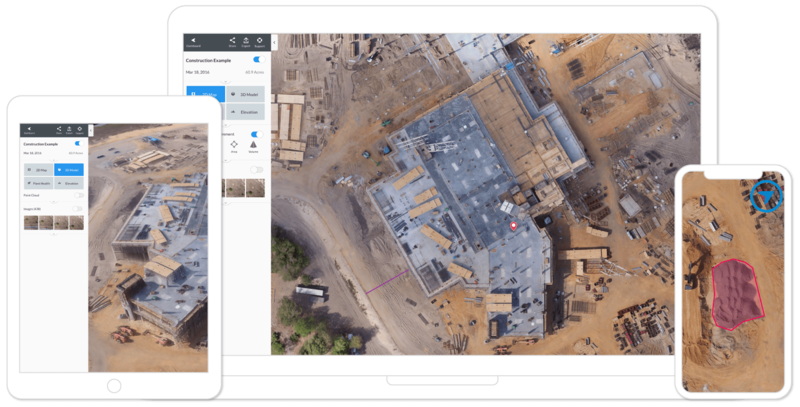 Automate mapping and photo flights for DJI drones using our mobile app—the most popular drone mapping app in the world. Don’t have a DJI drone? Just upload geotagged imagery from any drone to create a map. Create accurate, high-resolution maps, reports, and 3D models, as well as real-time 2D Live Maps for immediate analysis. Enable teams with unlimited cloud image processing and single-click collaboration, export, and integration options. Explore 80+ ready-to-install apps and integrations that extend the DroneDeploy platform. All your drone imagery in one place to ensure consistent data capture, quality, and delivery. From Fortune 500 companies to independent pilots, our customers use drone maps, photos, and 3D models to save time, guide decisions, reduce risk, and boost their bottom line. Obtaining a point cloud of the entire site in a few hours using a drone is a huge benefit to the schedule and the budget. By using drones we have increased our field productivity by 50–75%. When working with an international team of drone pilots, it’s paramount that we have a software solution that is able to scale with us as we grow. Learn more about our mission or find your dream job. Discover what our users have learned from mapping over 30 million acres. Connect with fellow mappers and exchange lessons learned.